AMMAN - Dr. Talal Abu-Ghazaleh spoke about his vision for his "university for inventors ", which will open its doors in September, and on how to tap the potential of innovative youth to steer the region, and become a key player in the future of humanity. In an interview with The Jordan Times, published under the title: Leading youth to join a ‘brave world’ of knowledge, Abu-Ghazaleh stressed that non-for-profit Talal Abu-Ghazaleh University College for Innovation (TAGUC) offers students a full package designed to render them full-fledged inventors that can make a difference to their communities and the world at large. This integrated system of incubation, according to His Excellency, “can be found nowhere in the world, simply because it is offered by TAG-Org, the world's leader in intellectual property”. This ensures students access to the state of the art, so that they will know where and how to start and where to go, while they will be taught by IP experts on patenting and drafting patent proposals. AGIP, which is TAG-Org's IP arm, will handle the protection of the ICT-based inventions, while the group will help market commercially viable ones, harnessing its vast network of corporate clients worldwide. Above all, the newspaper stressed, the TAGUC's students are privileged to have at their service the deep insight and unrivalled vision of HE Dr Talal Abu-Ghazaleh, described by The Jordan Times as a world-class knowledge leader who knows where the trajectory of ICT advancements is heading, and so is able to lead the young generation to focus on things that matter and have value as contributions to human civilization and the future of the planet. 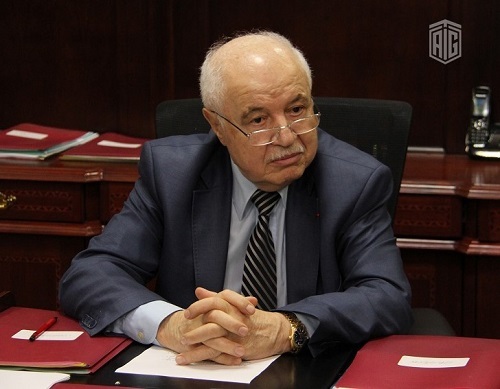 The newspaper noted that through TAGUC, "Abu-Ghazaleh seeks to take young people by the hand and lead them into this future", adding that four Arab countries have already shown interest and want similar programs for their young generations, including UAE, Palestine, Iraq and Lebanon. On another subject, Abu-Ghazaleh spoke about his book, "A Brave World", whose first draft is ready, and will be released in both Arabic and English soon.